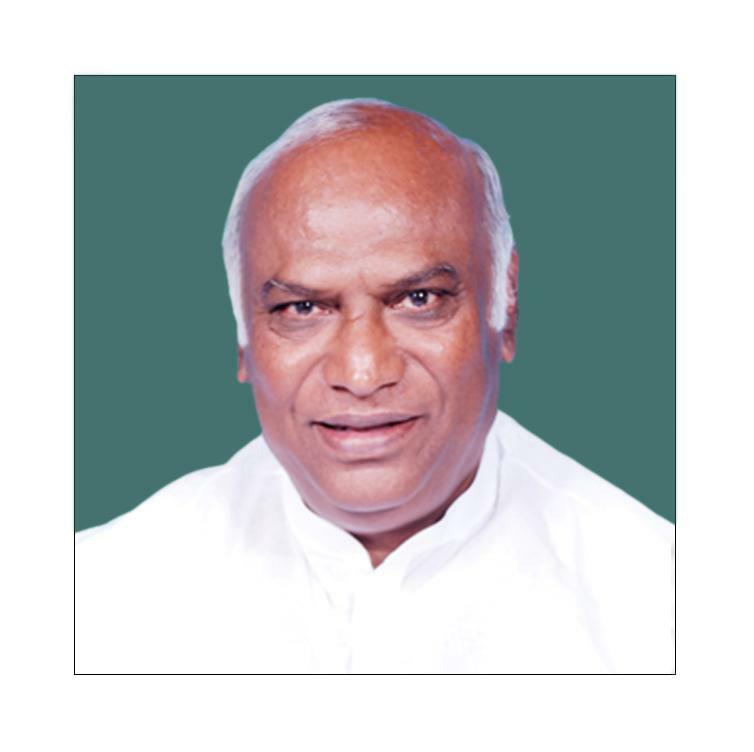 1 Three days (14.02.2019 to 16.02.2019) Kharge, Shri Mallikarjun ,Chandumajra, Shri Prem Singh ,Baheria, Shri Subhash Chandra ,Kirtikar, Shri Gajanan Chandrakant ,Shetty, Shri Gopal Chinayya ,Mahtab, Shri Bhartruhari ,Sigriwal, Shri Janardan Singh ,Somaiya, Dr. Kirit ,Thakur, Shri Anurag Singh ,Venugopal, Dr. Ponnusamy, Ramesh, Shri C.M. ,Gowda, Prof. M.V. Rajeev ,Kalita, Shri Bhubaneswar ,Malik, Shri Shwait , Mumbai and Thiruvananthapuram 1 At Mumbai (i) Held informal discussion with the representatives of the Ministry of Finance (Department of Revenue - CBDT) and Principal Chief Commissioner of Income Tax, Mumbai Region on the subject “Fictitious Demands during Scrutiny Assessments” based on Chapter V of C&AG Report No. 40 of 2017. (ii) Held informal discussion with the representatives of the Ministry of Finance (Department of Financial Services) and the CMDs of IDBI, Bank of Baroda, Bank of Maharashtra and Central Bank of India on the subject "Performance Audit Report on Recapitalisation of Public Sector Banks" based on C&AG Report No. 28 of 2017. (iii) Held informal discussion with the representatives of the Ministry of Finance (Department of Revenue-CBIC) and the Principal Chief Commissioner of GST and Central Excise on the subject “Non-Compliance with Rules and Regulations" based on Chapter IV of C&AG Report No. 3 of 2017 with particular reference to Mumbai/Maharashtra region. (iv) Held informal discussion with the representatives of the Ministry of Petroleum and Natural Gas and the CMDs of HPCL, IOCL and BPCL on the subject "Implementation of PAHAL (DBTL) Scheme" based on C&AG Report No. 25 of 2016. 2 At THIRUVANANTHAPURAM (i) Held informal discussion with the representatives of the Department of Space and Chairman, ISRO on the subjects "Management of VSAT Services (Para 6.1); Irregular expenditure on pre-project activities (Para 6.2); Lack of Financial prudence and improper contract management in the delivery of commercial spacecraft (Para 6.3); Infructuous expenditure in purchase of ecologically fragile land (Para 6.4)" based on Chapter VI of C&AG Report No. 17 of 2017. (ii) Held informal discussion with the representatives of the Ministry of Railways and General Managers Southern, South Eastern and South Central Railway on the subject “Up-gradation of passenger amenities at stations including modernization of stations in Indian Railways” based on Para 2.1 of the C&AG Report No.13 of 2016. (iii) Held informal discussion with the representatives of the Ministry of Finance (Department of Revenue - CBDT) and the Principal Chief Commissioner of Income Tax, Kerala Region on the subject “Extent of non-compliance of MAT provisions” based on Para 3 of C&AG Report No.30 of 2017 with particular reference to Kerala Region. (iv) Held informal discussion with the representatives of the Ministry of Finance (Department of Financial Services) and the CMD of Indian Bank and Executive Directors of Corporation Bank and Syndicate Bank on the subject "Bad Debts in Public Institutions." 2 Three days (26.11.2018 to 28.11.2018) Kharge, Shri Mallikarjun ,Sigriwal, Shri Janardan Singh ,Venugopal, Dr. Ponnusamy ,Mahtab, Shri Bhartruhari ,Somaiya, Dr. Kirit ,Ramesh, Shri C.M. ,Kalita, Shri Bhubaneswar ,Gowda, Prof. M.V. Rajeev , HYDERABAD AND GULBARGA 1. at Hyderabad (i) Held informal discussion with the representatives of Ministry of Defence and DRDO on "Development of an Integrated Aerostat Surveillance System, “Irregular sanction and expenditure of Rs.5.20 crore on construction of vehicle testing ground after completion of the project" and “Infructuous expenditure of Rs.19.53 crore” based on Paras 6.1, 6.2 & 6.3 of the C&AG Report No.15 of 2017 and on “Information Technology Audit of SAP Enterprise Resource Planning System at Research Centre Imarat, Hyderabad” based on Para 6.2 of C&AG Report 44 of 2015;(ii) Held informal discussion with the representatives of the Ministry of Finance, Department of Revenue, CBIC and Chief Commissioner of Central Tax Customs, Hyderabad Zone on "Recovery of Arrears" and "Effectiveness of Internal Audit" based on C&AG Report No. 3 of 2017 with particular reference to the Telangana region; (iii) Held informal discussion with the representatives of the Ministry of Finance, Department of Financial Services, CMDs, Andhra Bank and Indian Overseas Bank on "Performance Audit Report on Recapitalisation of Public Sector Banks" based on C&AG Report No. 28 of 2017. 2. At Gulbarga (i) a. Visited and had discussion with Central University of Karnataka, Gulbarga and; b. Held informal discussion with the representatives of the Ministry of Human Resource Development (Department of Higher Education) and the Vice Chancellor of Hyderabad University on "Irregular payment of pensionary benefits", "Blocking up of funds and non-achievement of intended objective", "Irregular payment of Transport Allowance to teaching faculty" and "Improper conversion of University of Hyderabad School into Kendriya Vidyalaya Project School" based on Para Nos.13.8,13.17,13.19 and 13.20 respectively of C&AG Report No. 12 of 2017; (ii) Held informal discussion at HKRDB Premises with the representatives of the Ministries of Health & Family Welfare (Department of Health & Family Welfare) and Labour and Employment and DG, ESIC on the subject "Performance Audit of Pradhan Mantri Swasthya Suraksha Yojana" and related issues based on C&AG Report No.10 of 2018 with particular reference to the Karnataka region; (iii) Held informal discussion at HKRDB Premises with the representatives of the Ministry of Civil Aviation, AAI, Air India, Bureau of Civil Aviation, CISF, Chief Operation Officers/CEOs of other Airlines operating in India and representatives of Government of Karnataka on "Action Taken on 93rd Report of PAC (15th Lok Sabha) on Performance of Civil Aviation in India"; (iv) Visited Gulbarga Railway Station and held informal discussion at HKRDB Premises with the representatives of the Ministry of Railways and General Managers, Central Railway, South Central Railway, South Western Railway and Southern Railway on "Catering Services in Indian Railways" based on C&AG Report No. 13 of 2017 and on “Status of ongoing projects in the Indian Railways” based on Chapter I of C&AG Report No. 48 of 2015 with particular reference to Southern region; and (v) Held informal discussion at HKRDB Premises with the representatives of the Ministry of Finance, Department of Financial Services, Chairman, Canara Bank and MD & CEO, Vijaya Bank on "Performance Audit Report on Recapitalisation of Public Sector Banks" and "Bad Debts in Public Institutions" based on C&AG Report No. 28 of 2017 with particular reference to Karnataka region. 3 Five days (13.09.2018 to 17.09.2018) Shri Mallikarjun Kharge; Shri Shivkumar Udasi;Shri Janardhan Singh Sigriwal;Shri Bhartruhari Mahtab; Shri Subhash Baheria;Smt. Riti Pathak;Shri Prem Singh Chandumajra;Shri Gopal Shetty;Dr. Kirit Somaiya;Shri Bhubaneswar Kalita BHUBANESWAR, MUMBAI AND VISAKHAPATNAM 1. At BHUBANESWAR (i) Held informal discussion with the representatives of the Ministry of Finance (Department of Revenue – Direct Tax), Pr.CCIT, Odisha Region and Pr.CCIT West Bengal & Sikkim Regions on the subject “Extent of non-compliance of MAT (Minimum Alternate Tax) provisions” based on Chapter III of C&AG Report No.30 of 2017; (ii)Held informal discussion with the representatives of the Ministries of New and Renewable Energy and Power, Chairman, NTPC Vidyut Vyapar Nigam Limited (NVVN), Chairman, Solar Energy Corporation of India Limited (SECI),CMD, National Hydroelectric Power Corporation (NHPC), CMD, Power Grid Corporation of India Limited (PGCIL) and Government of Odisha on the subject “Renewable Energy Sector in India” based on C&AGs Report No.34 of 2015 with particular reference to Odisha region; (iii) Held informal discussion with the representatives of the Ministry of Shipping and the Chairman(s), Paradip Port Trust, Kakinada Port, Visakhapatnam Port on the subject, “Performance Audit of Public Private Partnership Projects in Major Ports” based on C&AGs Report No.49 of 2015; and (iv) Held informal discussion with the representatives of the Ministry of Environment, Forest and Climate Change, Chairman, CPCB and Chairman, State Pollution Control Board (Odisha), on the subject, “Environmental Clearance and Post Clearance Monitoring” based on C&AG Report No.39 of 2016 with particular reference to Odisha region. 2. At Mumbai (i) Held informal discussion with the Ministry of Finance (Department of Revenue – Service Tax) and Commissioner, State Tax, Maharashtra, on the subject, “Service Tax liability in Insurance Sector” based on C&AGs Chapter II of Report No.4 of 2015 with particular reference to Maharashtra region; (ii) Held informal discussion with the representatives of the Ministry of Finance (Department of Financial Services) and Reserve Bank of India, Chairman, State Bank of India and MD & CEO, Union Bank of India on the subject, “Performance Audit Report on Recapitalisation of Public Sector Banks” based on C&AGs Report No.28 of 2017; and (iii) Held informal discussion with the representatives of the Ministry of Petroleum and Natural Gas and the CMDs of IOCL, HPCL and BPCL on the subject, “Pricing Mechanism of Major Petroleum Products in Central Public Sector Oil Marketing Companies” based on C&AGs Report No.14 of 2014. 3.AT VISAKHAPATNAM (i) Held informal discussion with the representatives of the Ministry of Finance (Department of Revenue – Direct Tax), Pr.CCIT, Andhra Pradesh and Telangana regions on the subject “Write off of Arrears of Tax Demand” based on Chapter VI of C&AG Report No.3 of 2016; (ii) Held informal discussion with the representatives of the Ministry of Textiles on the subject "Performance Audit Report on Technology Upgradation Fund Scheme (TUFS)" based on C&AG Report No.52 of 2015 in particular reference to Andhra Pradesh region; and (iii)Held informal discussion with the representatives of the Ministry of Defence on the subject, “Performance Audit on the Inventory management of Naval Stores, Equipment and Spare Parts in Indian Navy” and Paras 3.1 to 3.11 pertaining to Indian Navy” based on Chapter II & III respectively of C&AGs Report No.20 of 2017. 4 Two days (21.04.2018 to 22.04.2018) Kalita, Shri Bhubaneswar ,Baheria, Shri Subhash Chandra ,Chandumajra, Shri Prem Singh ,Thakur, Shri Anurag Singh , Shimla and Chandigarh 1. At Shimla(i) Held informal discussion with the representatives of Ministry of Finance (Department of Revenue - CBDT) and Principal CCIT - North West Region on the subject “Allowance of deduction to the assessees engaged in infrastructure development Revenue” based on C&AGs Report No.28 of 2016; (ii) Held informal discussion with the representatives of Ministry of Defence (Department of Defence) on the subject, “Supply Chain Management of Ration in Indian Army – Follow up Audit” based on Para No.2.2 of C&AG Report No.19 of 2016; and (iii) Held informal discussion with the Chief Secretary, Himachal Pradesh and representatives of Power Finance Corporation and Rural Electrification Corporation and Ministry of Power on the subject “Restructured Accelerated Power Development and Reforms Programme (R-APDRP)” based on C&AG Report No. 30 of 2016 with particular reference to Himachal Pradesh region. 2. At Chandigarh (i) Held informal discussion with the representatives of Ministry of Finance (Department of Revenue) and CBEC on the subject “Recovery of arrears: Non-transfer of cases to Recovery Cell” based on C&AG Report No. 41 of 2016; (ii) Held informal discussion with the representatives of Ministry of Railways and GM, Northern Railway on the subject “Induction of bio-toilets in Passenger Coaches in Indian Railways” based on C&AG Report No. 36 of 2017; (iii) Held informal discussion with the representatives of Ministry of Finance (Department of Financial Services) and the MD, India Infrastructure Finance Company Limited (IIFCL), the MD & CEO, Oriental Bank of Commerce and CMD, Small Industries Development Bank of India on the subject “Bad Debts in Public Institutions”; and (iv) Held informal discussion with the representatives of Ministry of Tourism on the subject, “Incorrect payment of CPWD rate by Dr. Ambedkar Institute of Hotel Management Catering and Nutrition resulting in excess payment of Rs. 61.46 lakh” based on Chapter 21 of C&AG Report No.4 of 2018. 5 Four days (17.02.2018 to 20.02.2018) Shri Mallikarjun Kharge, Shri Bhartruhari Mahtab, Shri Nishikant Dubey,Dr. P. Venugopal, Shri Anurag Singh Thakur, Shri Shivkumar Udasi,Dr. Kirit Somaiya, Shri Prem Singh Chandumajra, Shri Subhash Chandra Baheria,Shri Sudip Bandyopadhyay,Shri Mohd. Ali Khan, Shri Sukhendu Sekhar Roy, Shri Ajay Sancheti Kolkata, Deoghar and Mumbai At Kolkata(i)Held informal discussion on the subject"Restructured Accelarated Power Development and Reforms Programme" based on the C&AG s Report No. 30 of 2016 with special reference to West Bengal Region with the representatives of Ministry of Power (MoP) and the CMDs of Power Finance Corporation (PFC) and West Bengal State Electricity Distribution Company Limited (WBSEDCL)(ii)Held informal discussion on the subject "Treatment of items having element of both "Reserve" and "Provision for ascertained liability" and "Exempt Income or Income no longer exempt due to subsequent amendment reduced incorrectly" based on Para Nos. 2.5 and 3.3.1 respectively of the C&AG s Report No. 30 of 2017 with special reference to Kolkata West Bengal region with the representatives of Ministry of Finance-Department of Revenue (MoF-CBDT) and the Principal Chief Commissioner of Income Tax, West Bengal and Sikkim Region(iii)Held informal discussion on the subject "Recapitalisation of Public Sector Banks" based on the C&AGs Report No. 28 of 2017 with the representatives of Ministry of Finance-Department of Financial Services (MoF-DFS) and the CMDs of United Bank of India (UBI) and Allahabad Bank. At Deoghar (i) Held informal discussion on the subject "Deen Dayal Upadhyay Gram Jyoti Yojana" and C&AG s Report No. 30 of 2016 with special reference to Jharkhand Region with the representatives of Ministry of Power and the CMDs of Power Finance Corporation Limited (PFC), Jharkhand Urja Vikas Nigam Limited (JUVNL) and Power Secretary, Government of Jharkhand. (ii) Held informal discussion on the subjects "Deduction allowed to ineligible assessees" and "Valuation of transient goods" based on Para Nos. 2.2 and 2.5 respectively of the C&AGs Report No. 28 of 2016 with special reference to Ranchi Jharkhand region with the representatives of Ministry of Finance-Department of Revenue (CBDT) and the Principal Chief Commissioner of Income Tax, Bihar and Jharkhand Region and (iii) Held informal discussion on the subject "Performance of Weighbridges in Indian Railways" based on Para No. 2.1 of the C&AG s Report No. 26 of 2014 with special reference to Ranchi/Jharkhand region with the representatives of Ministry of Railways-Railway Board and the GMs of South Eastern Railway (SER), Eastern Railway (ER) and Eastern Central Railway (ECR).At Mumbai(i)Held informal discussion on the subjects "Deduction on Infrastructure facility developed for captive private use", "Deduction allowed beyond permissible periods" and "Consequences of Demerger/Amalgamation" based on Para Nos. 2.10, 3.3 and 3.5 respectively of the C&AGs Report No. 28 of 2016 with special reference to Mumbai/Maharashtra region with the representatives of Ministry of Finance-Department of Revenue (CBDT) and the Principal Chief Commissioner of Income Tax, Mumbai Region. (ii) Held informal discussion on the subject "Recapitalisation of Public Sector Banks" based on the C&AG s Report No. 28 of 2017 with the representatives of Ministry of Finance-Department of Financial Services and the CMDs of State Bank of India (SBI) and Bank of India (BoI)(iii) Held informal discussion on the subject "Implementation of PAHAL (DBTL) Scheme (Pratyaksh Hanstantrit Labh Yojana)" based on the C&AG s Report No. 25 of 2016 with the representatives of Ministry of Petroleum & Natural Gas (MoP&NG),CMDs of Bharat Petroleum Corporation Limited (BPCL), Hindustan Petroleum Corporation Limited (HPCL) and Indian Oil Coproration Limited (IOCL)and (iv) Held informal discussion on the subject “Follow up Audit of Hydrocarbon Production Sharing Contract for KG-DWN-98/3 Block for the Financial Years 2012-13 and 2013-14” based on Chapter XIV of the C&AG s Report No. 11 of 2016 with the representatives of Ministry of Petroleum & Natural Gas (MoP&NG) and Oil and Natural Gas Corporation Limited (ONGC). 6 4 days (30.10.2017 to 02.11.2017) Kharge, Shri Mallikarjun ,Mahtab, Shri Bhartruhari ,Kirtikar, Shri Gajanan Chandrakant ,Dubey, Shri Nishikant ,Venugopal, Dr. Ponnusamy ,Udasi, Shri Shivkumar Chanabasappa ,Chandumajra, Shri Prem Singh ,Somaiya, Dr. Kirit ,Baheria, Shri Subhash Chandra ,Sancheti, Shri Ajay ,Kalita, Shri Bhubaneswar , Chennai, Hyderabad and Bengaluru At Chennai : (ii) Discussion with the representatives of Ministry of Finance (Department of Financial Services) and the MD & CEOs of Indian Overseas Bank and Indian Bank on the subject “Recapitalisation of Public Sector Banks” based on C&AGs Report No. 28 of 2017 with particular reference to Indian Overseas Bank and Indian Bank. (ii) discussion with the representatives of Ministry of Defence, Defence Research and Development Organization (D.R.D.O.) and Army, Combat Vehicles Research & Development Establishment (CVRDE), Avadi on the subjects "Infructuous Expenditure of Rs. 19.53 crore" based on Para 6.3 of the C&AGs Report No. 15 of 2017 with particular reference to CVRDE, Avadi. (iii)discussion with the representatives of Ministry of Shipping and the Chairman, Chennai Port Trust on the subject “Land Management in Major Ports” based on C&AGs Report No. 27 of 2015 with particular reference to Chennai Port. (iv) discussion with the representatives of Ministry of Textiles on the subject “Performance Audit on Technology Upgradation Fund Scheme (TUFS)” based on C&AGs Report No. 52 of 2015 with particular reference to Tamil Nadu region. (v)discussion with the representatives of Ministry of Railways and GMs, South Central Railway (SCR), South Western Railway (SWR) and Southern Railway (SR) on the subject “Upgradation of passenger amenities at stations including modernisation of stations in Indian Railways” based on Para 2.1 of the C&AG s Report No.13 of 2016 with particular reference to South India region. At Hyderabad: (i)discussion with the representatives of Ministry of Defence, Hindustan Aeronautics Limited (HAL), Bharat Electronics Limited (BEL), D.R.D.O. and Indian Air Force (IAF) on the subject “Design, Development, Manufacture and Induction of Light Combat Aircraft” based on C&AGs Report No.17 of 2015. (ii) discussion with the representatives of Ministry of Finance (Department of Revenue - CBDT) and Pr.CCIT, Telangana and Andhra Pradesh on the subject “Allowance of deduction to the assessees engaged in infrastructure development Revenue” based on C&AGs Report No.28 of 2016 with particular reference to Telangana and Andhra Pradesh regions. At Bengaluru : (i) discussion with the representatives of Ministries of New and Renewable Energy and Power; Chairman, NTPC Vidyut Vyapar Nigam Limited (NVVN); Chairman, Solar Energy Corporation of India Limited (SECI); CMD, National Hydroelectric Power Corporation (NHPC) and Government of Karnataka on the subject “Renewable Energy Sector in India” based on C&AGs Report No.34 of 2015 with particular reference to Karnataka region. (ii) discussion with the representatives of Ministry of Finance (Department of Financial Services) and the MD & CEOs, Canara Bank and Vijaya Bank on the subject “Bad Debts in Public Institutions” with particular reference to Canara Bank and Vijaya Bank. 7 Two days (27.04.2017 to 28.04.2017) Thomas, Prof. Kuruppassery Varkey ,Dubey, Shri Nishikant ,Kirtikar, Shri Gajanan Chandrakant ,Mahtab, Shri Bhartruhari ,Venugopal, Dr. Ponnusamy ,Sigriwal, Shri Janardan Singh ,Singh, Shri Abhishek ,Hay, Prof. Richard ,Kalita, Shri Bhubaneswar , Gangtok (i) Informal discussion with the representatives of the Ministry of Finance (Department of Financial Services) and the MD & CEO, United Bank of India and CMD, Central Bank of India on the subject "Bad Debts in Public Institutions". (ii) Informal discussion with the representatives of Ministry of DoNER and the Government of Sikkim on the subject “Scrutiny of Public Expenditure under Non-lapsable Central Pool of Resources in Ministry of DoNER” with particular reference of Sikkim region. (iii) Informal discussion with the representatives of Ministry of Home Affairs, Ministry of Defence, Border Roads Organization (BRO) and the Government of Sikkim on the subject “Border Area Development Programme” with particular reference to Sikkim region. (iv) Informal discussion with the representatives of Ministry of Environment, Forest and Climate Change and the Government of Sikkim on the subject “Non-establishment of Model Facilities for Management of Municipal Solid Wastes” based on Para 6.4 of the C&AG’s Report No. 27 of 2014 with particular reference to Sikkim region. (v) Informal discussion with the representatives of Ministries of Human Resource Development, Health and Family Welfare, AYUSH and the Government of Sikkim on the subject “Performance Audit of Tribal Sub-Plan” based on C&AG’s Report No. 33 of 2015 with particular reference to Sikkim region. (vi) Informal discussion with the representatives of Ministry of Power, Rural Electrification Corporation Limited, NHPC and the Government of Sikkim on the subject “Performance Audit of Rajiv Gandhi Grameen Vidyutikaran Yojana (RGGVY)” based on C&AG’s Report No. 27 of 2013 with particular reference to Sikkim region. 8 1 day (18.04.2017) Dubey, Shri Nishikant ,Hay, Prof. Richard ,Udasi, Shri Shivkumar Chanabasappa , Jaipur (i) Informal discussion with the Principal Chief Commissioner of Income Tax, Rajasthan Region and representatives of the Ministry of Finance (Department of Revenue) on the subjects "Maintenance of Data of Brought Forward Loss or Unabsorbed Depreciation; and Compliance Issues in Pharmaceuticals Sector" based on Para Nos. 2.8 and 3.2 of the C&AG Report No. 5 of 2015 with particular reference to the Rajasthan region. (ii) Informal discussion with the Chief Commissioner of Central Excise and Customs, Jaipur Zone and representatives of the Ministry of Finance (Department of Revenue) on " Incorrect Grant of Duty Credit Scrips on Earnings in Indian Rupees/Foreign Exchange through Travel Agents" based on Para No. 7.19.2 of the C&AG Report No. 8 of 2015 with particular reference to the Rajasthan region. (iii) Informal discussion with the Chief Commissioner of Central Excise and Customs, Jaipur Zone and representatives of the Ministry of Fiance (Department of Revenue) on "Sources of Information and the process of consultation" based on Para No. 1.29 (Annexure I, Sl. No. 77 and 78) of the C&AG Report No. 12 of 2014 with particular reference to the Rajasthan region. 9 Three days (27.02.2017 to 01.03.2017) Thomas, Prof. Kuruppassery Varkey ,Mahtab, Shri Bhartruhari ,Sigriwal, Shri Janardan Singh ,Dubey, Shri Nishikant ,Pathak, Smt. Riti ,Hay, Prof. Richard ,Udasi, Shri Shivkumar Chanabasappa ,Somaiya, Dr. Kirit ,Venugopal, Dr. Ponnusamy ,Kirtikar, Shri Gajanan Chandrakant ,Thakur, Shri Anurag Singh ,Chandumajra, Shri Prem Singh ,Naik, Shri Shantaram ,Roy, Shri Sukhendu Sekhar ,Kalita, Shri Bhubaneswar ,Sancheti, Shri Ajay , Chennai and Kolkata At Chennai:(i)Informal discussion on the subjects “Performance of Import and Export Trade Facilitation through Customs Port” and “Performance of Special Economic Zones (SEZs)” based on C&AGs Report No.13 of 2015 and C&AGs Report No.21 of 2014 respectively with the representatives of the Ministry of Finance (Department of Revenue-CBEC) and the Chief Commissioner of Customs,Chennai Region;(ii)Informal discussion on the subject “Bad Debts in Public Institutions” with the representatives of Ministry of Finance (Department of Financial Services) and MD & CEO, Indian Bank;(iii)Informal discussion on the subject “Bad Debts in Public Institutions” representatives of Ministry of Finance (Department of Financial Services) and the Executive Director, Indian Overseas Bank; (iv)Informal discussion on the subject "Performance Audit on Production of Weapon Manufacturing Factories" based on Para 7.2 of the C&AGs Report No. 44 of 2015 with the representatives of Ministry of Defence and the General Manager, Ordnance Factory Trichy;(v)Informal discussion on the subject "Performance Audit on Assessment of Assessees in Pharmaceuticals Sector for the year ended March 2014" based on C&AGs Report No. 5 of 2015 with the representatives of Ministry of Finance (Department of Revenue-CBDT) and the Principal Chief Commissioner of Income Tax, Tamil Nadu and Puducherry Region.At Kolkata:(i)Visited Satyajit Ray Film and Television Institute (SRFTI) and held informal discussion with the President, SRFTI Society and the representatives of the Ministry of Information and Broadcasting on the subject "Academic activities of Satyajit Ray Film and Television Institute, Kolkata for the period from 2010-11 to 2014-15” based on Para 11.2 of the C&AGs Report No. 11 of 2016;(ii)Informal discussion with the representatives of Ministry of Finance (Department of Revenue-CBEC) and the Chief Commissioner of Service Tax, Kolkata Municipal Region on the subject "Voluntary Compliance Encouragement Scheme, 2013" based on Paras 2.1.2, 2.2.2 and 2.2.3 of the C&AGs Report No. 22 of 2016. (iii)Informal discussion on the subject "Performance audit of Allowance of deduction to the assessess engaged in infrastructure development for the year ended March 2015 " based on C&AGs Report No. 28 of 2016 with the representatives of Ministry of Finance (Department of Revenue-CBDT) and the Principal Chief Commissioner of Income Tax, West Bengal and Sikkim Region. (iv)Informal discussion on the subject “Bad Debts in Public Institutions” with the representatives of Ministry of Finance (Department of Financial Services) and the MD, Allahabad Bank;(v) Informal discussion on the subject “Bad Debts in Public Institutions” with the representatives of Ministry of Finance (Department of Financial Services) and the MD, UCO Bank. 10 1 day (07.03.2017) Thomas, Prof. Kuruppassery Varkey ,Chandumajra, Shri Prem Singh ,Dubey, Shri Nishikant ,Kirtikar, Shri Gajanan Chandrakant ,Mahtab, Shri Bhartruhari ,Pathak, Smt. Riti ,Sigriwal, Shri Janardan Singh ,Thakur, Shri Anurag Singh ,Udasi, Shri Shivkumar Chanabasappa ,Venugopal, Dr. Ponnusamy ,Yadav, Shri Bhupender ,Naik, Shri Shantaram ,Roy, Shri Sukhendu Sekhar ,Sancheti, Shri Ajay , Indira Gandhi Internatinal Airport, Delhi To proceed for visit to Indria Gandhi International Airport, Delhi and informal discussion on “PPP Projects”. 12 Four days (28.09.2016 to 01.10.2016) Thomas, Prof. Kuruppassery Varkey ,Dubey, Shri Nishikant ,Hay, Prof. Richard ,Kirtikar, Shri Gajanan Chandrakant ,Mahtab, Shri Bhartruhari ,Pathak, Smt. Riti ,Sigriwal, Shri Janardan Singh ,Singh, Shri Abhishek ,Somaiya, Dr. Kirit ,Venugopal, Dr. Ponnusamy ,Yadav, Shri Bhupender ,Naik, Shri Shantaram ,Sancheti, Shri Ajay ,Chaturvedi, Shri Satyavrat , Jaipur and Mumbai At Jaipur: (i) Informal discussion with the Chief Commissioner of Central Excise and Service Tax, Jaipur Zone and representatives of the Ministry of Finance (Department of Revenue) on "Levy and Collection of Service Tax on Works Contract" based on C&AG Report No. 26 of 2015 with particular reference to the Jaipur Zone. (ii) Informal discussion with the representatives of BSF, CRPF, CISF, CPWD, Ministry of Home Affairs and Ministry of Urban development on "Performance Audit of Construction activities in CAPFs" based on C&AG Report No. 35 of 2015 with particular reference to Rajasthan region. (iii) Informal discussion with the representatives of Ministry of Defence on "Management of Defence Land" in the country including issues raised in the Para 2.1 of C&AG Report No. 30 of 2013 and (iv)Informal discussion with Principal Chief Commissioner of Income Tax, Rajasthan Region and the representatives of the Ministry of Finance(Department of Revenue) on the overall performance and on ''Write-off of Arrears of Tax Demand" based on Chapter VI of the C&AG Report No.3 of 2016 with particular reference to Rajasthan Region. At Mumbai: (i) Informal discussion with CEO & Managing Directors of Union Bank of India and Bank of India on overall performance of the Maharashtra region on the subject "Bad debts in Public Institutions". (ii) Informal discussion with the representatives of the Ministry of Petroleum and Natural Gas and the CMDs of BPCL, HPCL and IOCL on ‘Pricing Mechanism of Major Petroleum Products in Central Public Sector Oil Marketing Companies’ based on C&AG Report No. 14 of 2014. (iii) Informal discussion with the representatives of Principal Commissioner of Customs, Mumbai and the representatives of Ministry of Finance (Department of Revenue) and Ministry of Commerce and Industry (Department of Commerce) on the subject "Special Economic Zones (SEZs)" based on C&AG Report No. 21 of 2014 with particular reference to Mumbai Zone. (iv) Informal discussion with Chairman, Jawaharlal Nehru Port Trust and representatives of Ministry of Shipping on overall performance of the JNPT and on "PPP Projects in Major Ports" based on C&AG Report No. 49 of 2015 with particular reference to Jawaharlal Nehru Port Trust and (v) Informal discussion with General Managers of Central and Western Railways and the representatives of Ministry of Railways on overall performance of the respective Zones and on the following subjects: (a)	"Commercial Publicity in Indian Railways" based on Chapter I of the C&AG Report No. 11 of 2013 with particular reference to Central and Western Zone; and (b)	"Suburban Train Services in Indian Railways" based on C&AG Report No. 14 of 2016 with particular reference to Central and Western Zone. 13 three days (11.06.2015 to 13.06.2015) Thomas, Prof. Kuruppassery Varkey ;Mahtab, Shri Bhartruhari ;Sigriwal, Shri Janardan Singh ;Kirtikar, Shri Gajanan Chandrakant ;Rio, Shri Neiphiu ;Bandyopadhyay, Shri Sudip ;Naik, Shri Shantaram ;Goel, Shri Vijay ;Roy, Shri Sukhendu Sekhar andKalita, Shri Bhubaneswar. Kolkata and Srinagar At Kolkata: Informal discussion on the subjects: (i) "Direct Taxes Administration" (Chapter-I); (ii) "Corporation Tax" (Chapter-III); (iii) "Income Tax and Wealth Tax" (Chapter-IV) ; and (iv) "Functioning of Income Tax Settlement Commission and Implementation of its orders by ITD" (Chapter-V), based on C&AG Audit Report No. 3 of 2015 (Department of Revenue-Direct Taxes, Union Government) with the representatives of the Ministry of Finance (Department of Revenue-CBDT) and Principal Chief Commissioner of Income Tax-West Bengal & Sikkim Region. Informal discussion on the subjects "Performance Audit of Dual Freight Policy for Transportation of Iron Ore Traffic in Indian Railways for the year ended March, 2014" based on C&AG Audit Report No 14 of 2015 and "Tatkal and Advance Reservation System in Indian Railways" based on Para No. 2.2 of C&AG Report No. 34 of 2010-11 with the representatives of the Ministry of Railways and the General Managers of Eastern and South Eastern Railway. At Srinagar: Informal discussion on the subjects: (i) "Preparation and Notification of RE Plans" (Para 3.6); (ii) "Time taken in award of project" (Para 5.5.2); (iii) "Lack of due diligence by PIAs" (Para 5.10); and (iv) "1st Tier Monitoring" (Para 6.2.1); based on "Rajiv Gandhi Grameen Vidyutikaran Yojana (RGGVY)" based on C&AG Audit Report No. 27 of 2013 with the representatives of the Ministry of Power and the Chief Secretary, Government of Jammu & Kashmir. Informal discussion on the subject "Performance Audit of Ammunition Management in Army for the year ended March, 2013" based on C&AG Audit Report No 19 of 2015 with the representatives of the Ministry of Defence and the GOC-in-C Northern Command, Indian Army. Informal discussion on the subjects: (i) "Deficiencies in the preparation and submission of DAP/SAP" (Para 3.2); (ii) "Submission of SAP to Ministry" (Para 3.3); (iii) "Absence of convergence/coordination activities " (Para 3.8); and (iv) "Delay in release of funds at various levels leading to blocking of funds" (Para 4.6); based on "Performance Audit of Rashtriya Krishi Vikas Yojana (Ministry of Agriculture)" based on C&AG Audit Report No 11 of 2015 with the representatives of the Ministry of Agriculture and the Chief Secretary, Government of Jammu & Kashmir. 14 Three days (06.02.2016 to 08.02.2016) Thomas, Prof. Kuruppassery Varkey ;Ahluwalia, Shri S.S. ;Dubey, Shri Nishikant ;Sigriwal, Shri Janardan Singh ;Somaiya, Dr. Kirit andNaik, Shri Shantaram. Siliguri and Kolkata At Siliguri: Discussion with Chairman, Tea Board of India and representatives of the Department of Commerce on overall performance of the Board and on "Unfruitful Expenditure of Rs.7.27 crore on running of Tea Centres of Tea Board of India for Domestic Promotion of Tea" based on Para 2.3 of C&AG Report No.18 of 2015. Discussion with the representatives of the Central Reserve Police Force on following paragraphs of C&AG Report No.35 of 2015 with particular reference to Group Centre, Siliguri: (i) Construction of 224 Type II quarters at Group Centre, CRPF, Siliguri (Annexure1.3/Page 138/Sr.No.187); (ii) Construction of BIN Type magazine for Group Centre, CRPF, Siliguri (Annexure1.3/Page 163/Sr.No.645). AND Discussion with the representatives of the Border Security Force on "Construction of 48 Type II quarters for Battalion Headquarter at Radhabri under Sector Headquarter BSF, Siliguri" based on Annexure 1.3/Page 137/ Sr.No.169) of C&AG Report No.35 of 2015 with particular reference to Sector Headquarter, North Bengal Frontier, Siliguri. Discussion with representatives of the National Hydroelectric Power Corporation Ltd. on overall performance and power generation in the region. Discussion with representatives of the National Highways Authority of India Ltd. on overall performance and construction of East-West Corridor in the region. At Kolkata: Discussion with Chairman, Kolkata Port Trust and representatives of Ministry of Shipping on overall performance of the Kolkata Port Trust and on "Land Management in Major Ports" based on C&AG Report No.27 of 2015 with particular reference to Kolkata Port Trust. Discussion with the Principal Chief Commissioner, Central Excise & Service Tax, Kolkata Zone and the representatives of the Department of Revenue on overall performance of the Kolkata Zone and on "Working of automation of Central Excise and Service Tax" based on C&AG Report No.46 of 2015 with particular reference to Kolkata Zone. 15 Two days (15.01.2016 to 16.01.2016) Thomas, Prof. Kuruppassery Varkey ;Mahtab, Shri Bhartruhari ;Sigriwal, Shri Janardan Singh;Venugopal, Dr. Ponnusamy ;Somaiya, Dr. Kirit ;Udasi, Shri Shivkumar Chanabasappa ;Thakur, Shri Anurag Singh ;Kirtikar, Shri Gajanan Chandrakant ;Dubey, Shri Nishikant ;Naik, Shri Shantaram and Kalita, Shri Bhubaneswar. Mumbai At Mumbai: Discussion with Chairman and Members of PAC of Maharashtra Legislature on "Procedures of Parliamentary PAC in conduct of business of the Committee as well as formation of Sub-Committees etc". Visit to Chhatrapati Shivaji Terminus Railway Station and informal discussion with the General Manager, Central Railway and the representatives of the Ministry of Railways on "Modernization of Railway Stations" and overall performance of Central Railway. Informal discussion with the representatives of Ministry of Finance (Department of Revenue - CBDT) and the Principal Chief Commissioner of Income Tax, Mumbai Region on the subject "Corporation Tax" based on Chapter III of the C&AG Report No. 3 of 2015 with particular reference to Maharashtra/Mumbai charge. Visit to Chhatrapati Shivaji International Airport, Mumbai and informal discussion with representatives of the Ministry of Civil Aviation, AAI, MIAL on the subject "Implementation of PPP Project at CSI Airport, Mumbai" based on C&AG Report No.15 of 2014. 16 Five days (15.09.2015 to 19.09.2015 Thomas, Prof. Kuruppassery Varkey;Mahtab, Shri Bhartruhari;Dubey, Shri Nishikant;Sigriwal, Shri Janardan Singh;Somaiya, Dr. Kirit;Thakur, Shri Anurag Singh;Udasi, Shri Shivkumar Chanabasappa;Venugopal, Dr. Ponnusamy;Kalita, Shri Bhubaneswar; and Naik, Shri Shantaram. Bhubaneswar, Port Blair and Chennai. "Functioning of Major Port Trusts" based on C&AG Report No. 3 of 2009-10.; "Preservation and Conservation of Monuments and Antiquities" based on the C&AG Report No.18 of 2013; "Challenges in the Power Sector and implementation of power projects"; "Non-availability of a dedicated fuel pipeline and blocking of funds" based on Para No. 4.10 of the C&AG Report No.34 of 2014; "Excess payment of Island Special Duty Allowance in Navy" based on Para No. 4.11 of the C&AG Report No.4 of 2014; (i) "Irregular drawal of ? 24.00 crore" (Para 19.1); (ii) "Avoidable expenditure"; (Para 19.2) (iii) "Unfruitful expenditure of ? 7.50 crore"(Para 19.3); and (iv) "Unfruitful Expenditure"(Para 19.1) based on C&AG Report No. 25 of 2014;"Service Tax liability in Port sector" based on Para Chapter-III of C&AG Report No. 4 of 2015 and "Hasty merger of Chennai Metro and Tamil Nadu Telecom Circles" based on Para No. 2.3 of the C&AG Report No. 20 of 2015. 17 1 day (26.10.2015) Thomas, Prof. Kuruppassery Varkey ,Dubey, Shri Nishikant ,Rio, Shri Neiphiu ,Udasi, Shri Shivkumar Chanabasappa ,Somaiya, Dr. Kirit ,Thakur, Shri Anurag Singh ,Venugopal, Dr. Ponnusamy ,Agrawal, Shri Naresh ,Chaturvedi, Shri Satyavrat ,Goel, Shri Vijay ,Naik, Shri Shantaram , New Delhi and Old Delhi Railway Stations To proceed for visit to New Delhi and Old Delhi Railway Stations and informal discussion on “Modernization of Railway Stations” and Overall performance of Northern Railway with the General Manager, Northern Railway and the representatives of the Ministry of Railways. 18 Two days (10.04.2015 to 11.04.2015) Thomas, Prof. Kuruppassery Varkey;Mahtab, Shri Bhartruhari;Sigriwal, Shri Janardan Singh;Udasi, Shri Shivkumar Chanabasappa;Kirtikar, Shri Gajanan Chandrakant;Venugopal, Dr. Ponnusamy;Naik, Shri Shantaram and Goel Shri Vijay. Hyderabad 1. At Hyderabad Held discussion on the subject "Employees" State Insurance Corporation" based on C&AG Audit Report No. 30 of 2014 with the representatives of the Ministry of Labour and Employment and the Regional Director, Hyderabad Regional Office with special reference to Hyderabad Region. Held discussion on the subjects "Unwarranted procurement of CATIA V6 software" and "Procurement in violation of norms by DRDO" based on Para Nos. 5.2 and 5.3 respectively of the C&AG Audit Report No. 30 of 2013 (Union Government; Defence Services – Army and Ordnance Factories) with the representatives of Ministry of Defence and DRDO.Held discussion on the subject "Commercial Utilisation of Surplus Railway Land" based on Para 3.1 of the C&AG Audit Report No. 32 of 2011-12 (Union Government - Railways) with the representatives of Ministry of Railways and the representatives of South Central and Southern Railways with particular reference to South Central and Southern Zones. Held discussion on the subject "Performance Audit of Administration of Penalty and Prosecution" based on C&AG Report No. 28 of 2013 [Department of Revenue - Direct Taxes (Income Tax)] with the representatives of Ministry of Finance (Department of Revenue-CBDT) and the Principal Chief Commissioner of Income Tax, Andhra Pradesh and Telangana Region with particular reference to Hyderabad Zone/Region. 19 Five days (17.01.2015 to 21.01.2015) Thomas, Prof. Kuruppassery Varkey;Mahtab, Shri Bhartruhari;Sigriwal, Shri Janardan Singh;Somaiya, Dr. Kirit;Dubey, Shri Nishikant;Kirtikar, Shri Gajanan Chandrakant;Singh, Shri Dushyant;Udasi, Shri Shivkumar Chanabasappa;Thakur, Shri Anurag Singh;Kalita, Shri Bhubaneswar;Naik, Shri Shantaram andRoy, Shri Sukhendu Sekhar. Goa, Mumbai and Chennai 1. At Goa discussed with the Chairman, Mormugao Port Trust (MGPT) on the overall performance of the Ports in general on the subject "Functioning of Major Port Trust" with particular reference to "Port Connectivity" based on Chaper 4 and para 6.2.1 of Chapter 6 on "Delay in Execution" of the C&AG Report No. 3 of 2009-10 and "Loss of Revenue due to Incorrect Application of Rates for Pilotage Charges Fixed by TAMP" based on Para 16.1 of the C&AG Report No. 25 of 2014. Discussed with the Chief Commissioner of Customs and Central Excise on the subjects (i)"Management of Narcotic substances" based on Chapter-VI of the C&AG Report No. 12 of 2014 (ii)	"Disposal of seized and confiscated goods" based on Chapter-VII(A) of the C&AG Report No. 12 of 2014 and (iii)"Public and Private bonded warehouses" based on Chapter-VIII(C) of the C&AG Report No. 12 of 2014. 2. At Mumbai held informal discussion with the representatives of the Ministry of Civil Aviation and Mumbai International Airport Pvt. Ltd. (MIAL) on the subject "Implementation of PPP Project at Chhatrapati Shivaji International Airport, Mumbai" based on the C&AG Report No. 15 of 2014. discussed with the representatives of the Ministry of Petroleum and Natural Gas and the CMDs of BPCL, HPCL and IOCL on "Pricing Mechanism of Major Petroleum Products in Central Public Sector Oil Marketing Companies" based on C&AG Report No. 14 of 2014 and on the following Chapters/Audit Paragraphs: (i)"Gross Refinery Margin (GRM) is Lower Compared to Pvt. And Benchmarked Singapore Refineries" [Chapter III, Para 3.1.3]; (ii)"Ability to Process High Sulphur (HS) Crude" [Chapter III, Para 3.1.3 (ii)];(iii)"Fuel & Losses" [Chapter III, Para 3.1.3 (iv)]; (iv)"Scope for Improvement in Technology Upgradation at HPCL, BPCL Mumbai Refineries" [Chapter III, Para 3.1.3 (iv)]; and (v)	"Investment in Marketing Segment and its Return to OMCs-(a) Marketing Cost (b) Marketing Margin (c) Margin on Retail Outlet Charges" [Chapter III, Para 3.1.7]. discussed with the representatives of the Ministry of Finance (Department of Revenue-CBDT) and the Chief Commissioner of Income Tax on the overall performance of Mumbai Charge with particular reference to paras pertaining to Mumbai region in C&AG Report No. 20 of 2013 on "Exemptions to Charitable Trust and Institutions". Discussed with the representatives of Ministry of Information Technology and CMD MTNL on the subject "Subscriber verification by Telecom Service providers" based on para 2.1 of C&AG Report No. 17 of 2014. Discussed with the representatives of the Ministry of Defence on the overall performance with particular reference to Defence Land in Maharashtra on the subject "Improper Management of Defence Land" based on para 2.1 of the C&AG Report No. 30 of 2013. 3. At Chennai discussed with the Additional Member Railway Board & representatives of Southern Railway zone on the overall performance of the Chennai/Tamil Nadu zone on the subject "Thematic Audit on Maintenance of locomotives in Indian Railways" based on Para 4.1 of the C&AG Report No. 25 of 2013. and held Informal discussion with the representatives of the Ministry of Finance (Department of Revenue-CBDT) and the Chief Commissioners of Income Tax on the overall performance of Chennai Charge with particular reference to paras pertaining to Chennai region in C&AG Report No. 28 of 2013 on "Administration of Penalty and Prosecution"
20 Four days (10.11.2014 to 13.10.2014) Thomas, Prof. Kuruppassery Varkey;Mahtab, Shri Bhartruhari;Sigriwal, Shri Janardan Singh;Somaiya, Dr. Kirit;Naik, Shri Shantaram;Roy, Shri Sukhendu Sekhar;Goel, Shri Vijay;Chaturvedi, Shri Satyavrat and Jatiya, Dr. Satyanarayan. Bengaluru, Kochi and Lakshadweep 1. At Bengaluru (i) discussion with the representatives of the Ministry of Finance (Department of Revenue-CBEC) and the Chief Commissioners of Customs and Central Excise, Southern Zone (Tamil Nadu, Karnataka and Kerala) on the overall performance of the Zone and on the subject "Indian Customs Electronic Data Interchange System (ICES 1.5)" based on CAG Report No. 11 of 2014 with particular reference to the Southern Zone; (ii) discussion with the representatives of the Ministry of Labour and Employment and Provident Fund Commissioner, Karnataka/Bengaluru region on the subject "Performance Audit of Employees Provident Fund Organisation" based on CAG Report No. 32 of 2013 and on the following Audit Paragraphs- (a)"Inspections" (Para 3.4); (b)"Arrears of PF and Administrative Charges" (Para 4.3); (c)"Interest due from bank for delayed credits" (Para 4.4); (d)"Determination of dues from employers in case of default" (Para 4.7); and (e)"Recovery of dues from defaulters" (Para 4.8). 2. (A.) At Kochi Held discussion with the representatives of the Ministry of Finance (Department of Revenue-CBDT) and Principal Chief Commissioner of Income Tax, Kerala/Kochi on the subject "Administration of Penalty and Prosecution" based on CAG Report No. 28 of 2013 on the following Audit Paragraphs- (a)"Non Levy of Penalty Under Wealth Tax Act" (Para 2.10.1); (b)"Penalties by TDS Officers" (Para 2.11.2); (c)"Failure to Comply with Filing Requirements Covering IT Returns, Tax Audit Reports, Books of Accounts etc." (Para 2.12); (d)"Cases Pending in the High Courts" (Para 3.5.3); and (f)"Prosecution on Low Value Cases" (Para 3.11.2). (B) Held discussion with the representatives of the Ministry of Power and the Chief Secretary, Kerala Government regarding "Rajiv Gandhi Grameen Vidyutikaran Yojana" based on the CAG Report No. 27 of 2013 on the following Audit Paragraphs- (a)"Preparation and Notification of Rural Electrification (RE) Plans" (Para 3.6); (b)"DPR Prepared without Field Survey" (Para 3.7); (c)"Delay in Completion of Work" (Para 5.5.3); (d)"Non-deduction of Taxes" (Para 5.9.4); and (e)"2nd Tier Monitoring" (Para 6.2.2). (C) Held discussion with the representatives of the Ministry of Shipping and the CMD, Cochin Port Trust on the overall performance and functioning of Cochin Port and on the subject "Functioning of Major Port Trusts in India" based on CAG Report No. 3 of 2009-10 and on the following Audit Paragraphs- (a)"Inadequate Management of Maintenance Dredging" (Para 2.2.2); (b)"Inadequate Handling Infrastructure" (Para 3.1.2); and (c)"Old and Outlived Equipment" (Para 3.4.1). (d)"Berth Occupancy" (Para 5.5); and (e)"Short Comings in BOT Agreements" (Para 6.3.2). 3. At Lakshadweep Held discussion with the representatives of the Ministry of Shipping, the Ministry of Communications (Department of Telecommunications), the Ministry of Civil Aviation and the Administrator, UT of Lakshadweep on the following subjects- (a)"Failure to procure landing Barges resulted in wasteful expenditure of Rs 12.21 crore" based on Para 14.7 of the CAG Report No. 19 of 2013 for the year ended March 2012; and (b)"Non-commissioning of Radar Transponders" based on Para 14.8 of the CAG Report No. 19 of 2013 for the year ended March 2012. 4. At Kochi Held discussion with the representatives of the Ministry of Defence, CMD, Cochin Shipyard Limited and the Vice Admiral, Southern Naval Command on "Planning and Management of Refits of Indian Naval Ships" based on the CAG Report No. 31 of 2013 and on the following Audit Paragraphs- (a)"Off-loading of Refits, Case IV-INS Nireekshak" (Para 2.4); (b)"Creation of Additional Infrastructure" (Para 4.4); (c)"Matrix Unit as Unit of Workload" (Para 4.5.1); (d)"Local Purchase of Stores, Case II-Unnecessary procurement of Spares" (Para 4.7); and (e)"Non Preparation of Cost Accounts" (Para 5.6).